You know what I like? Hats. I know, I know. It’s still summer. It’s hot outside. Whatever. 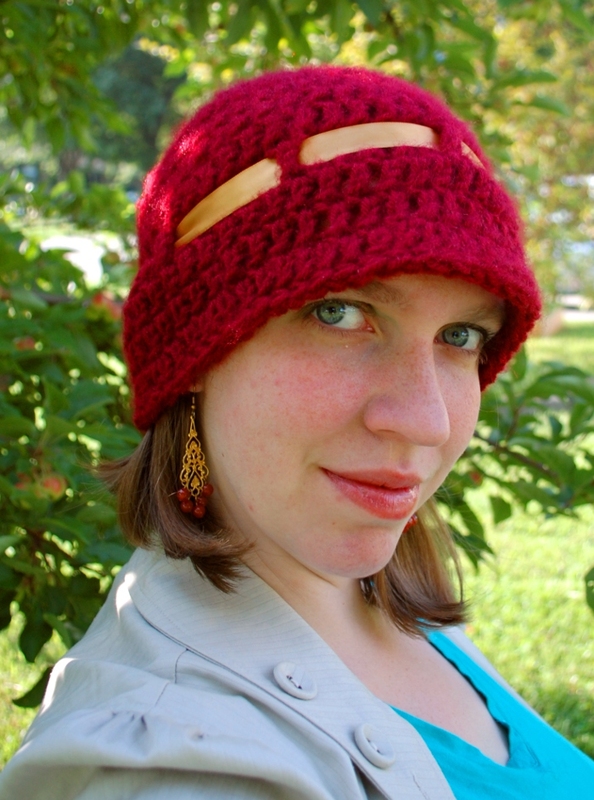 That doesn’t mean I can’t make a fuzzy burgundy hat and daydream about pumpkins and cider and changing leaves. 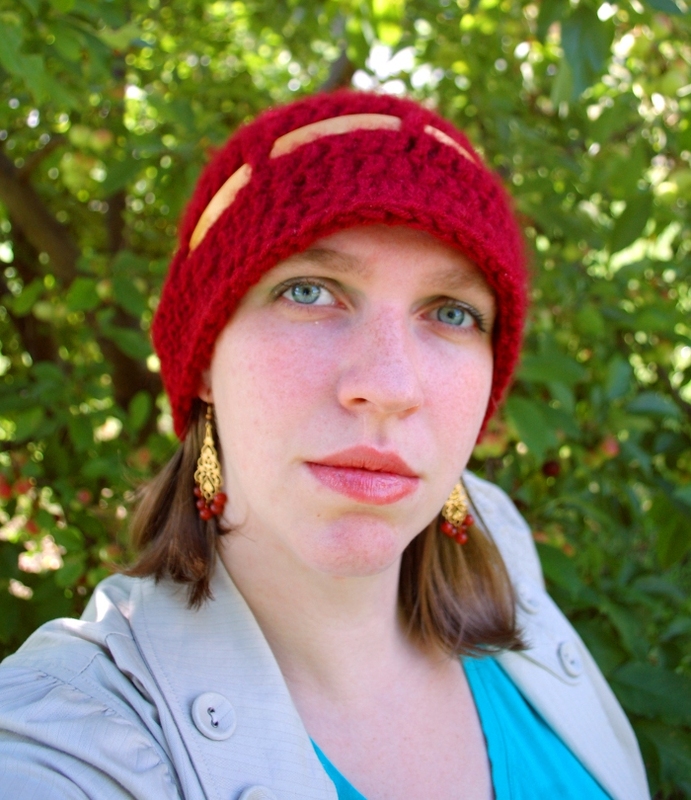 I can’t wait until the crabapples behind me there are red and ripe and ready to be processed into more jelly! 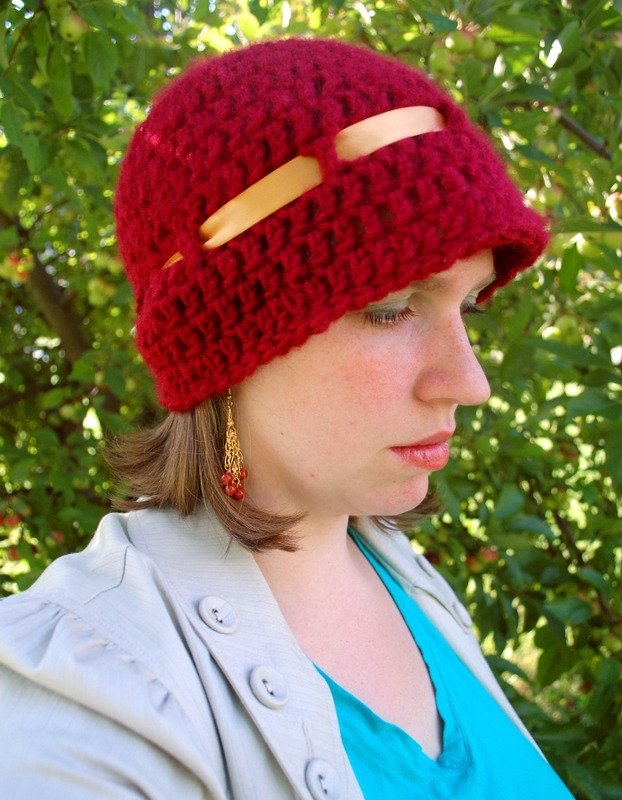 It’s amazing how much something as simple as a ribbon can dress up a hat, am I right? This was a quick, simple project, and if you’d like to make one yourself, head on over to Inner Child Crochet and get the free pattern!